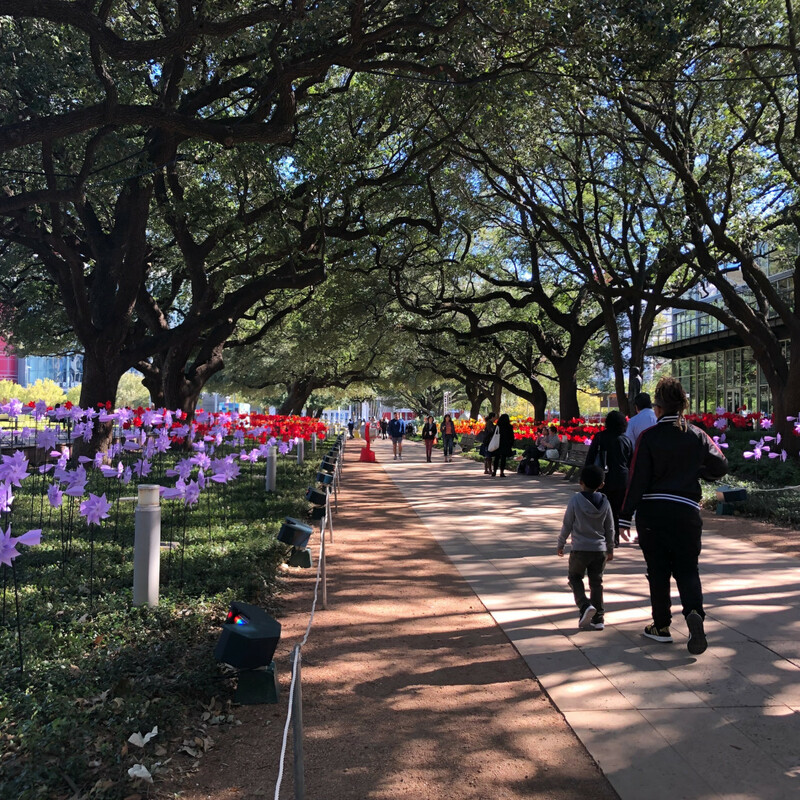 Winter has arrived in Houston, but a field of colorful, hand-created flowers just bloomed in Discovery Green thanks to the new art project,“GUST: Celebrating a Decade of Discovery.” The interactive, promenade-long installation from Mexico City-based design collective Cocolab lets Houstonians become the wind and set 1,600 handmade pinwheels spinning into kinetic art. 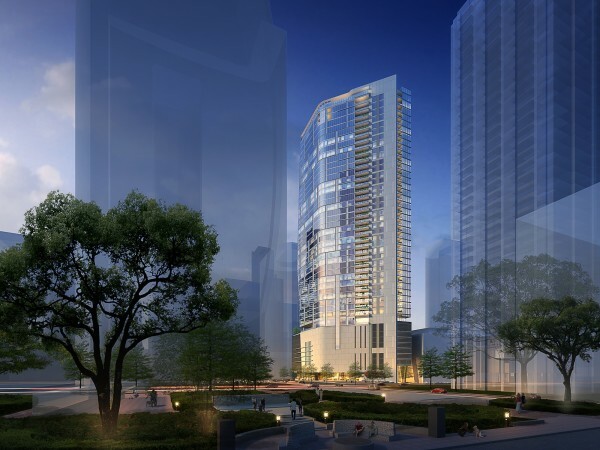 Felipe Linares, artist and creative lead on project, explains how proud Cocolab was to work on such a site-specific work of art for Discovery Green. 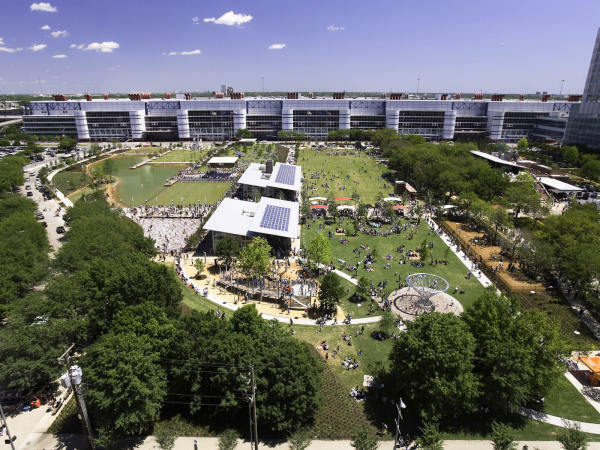 “We think collaboration is one of the most powerful tools we have as creators,” he tells CultureMap during a walk-through, describing the planning and partnership that had to happen with Discovery Green to bring the expansive piece to fruition. 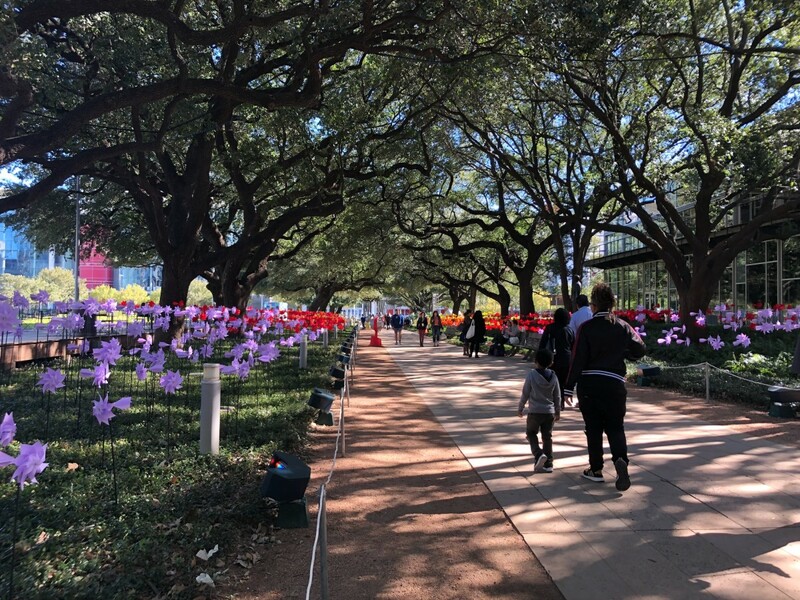 Viewed from afar in the daylight, visitors to Discovery Green will see a blanket of color underneath the historic live oak canopy lining the Brown Foundation Promenade. 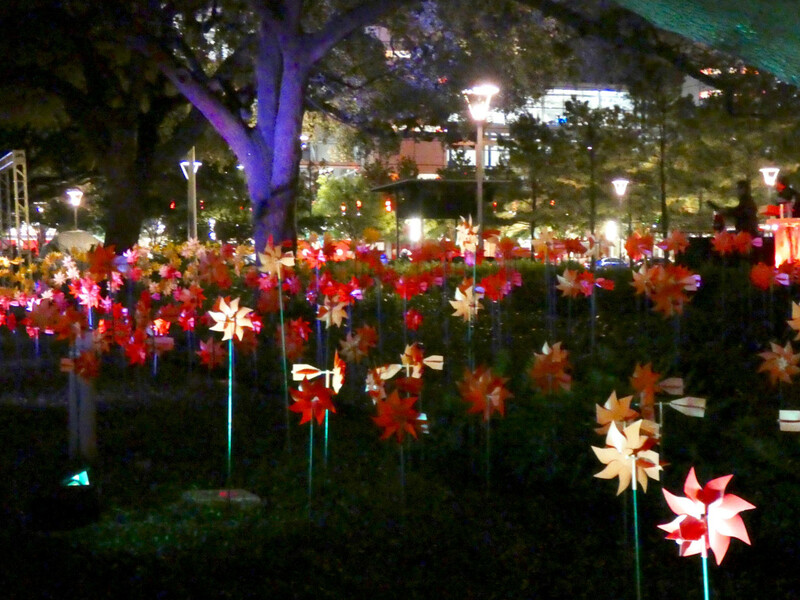 But a look closer reveals that each red, orange, yellow, and lilac polypropylene pinwheel is a work of art onto itself. 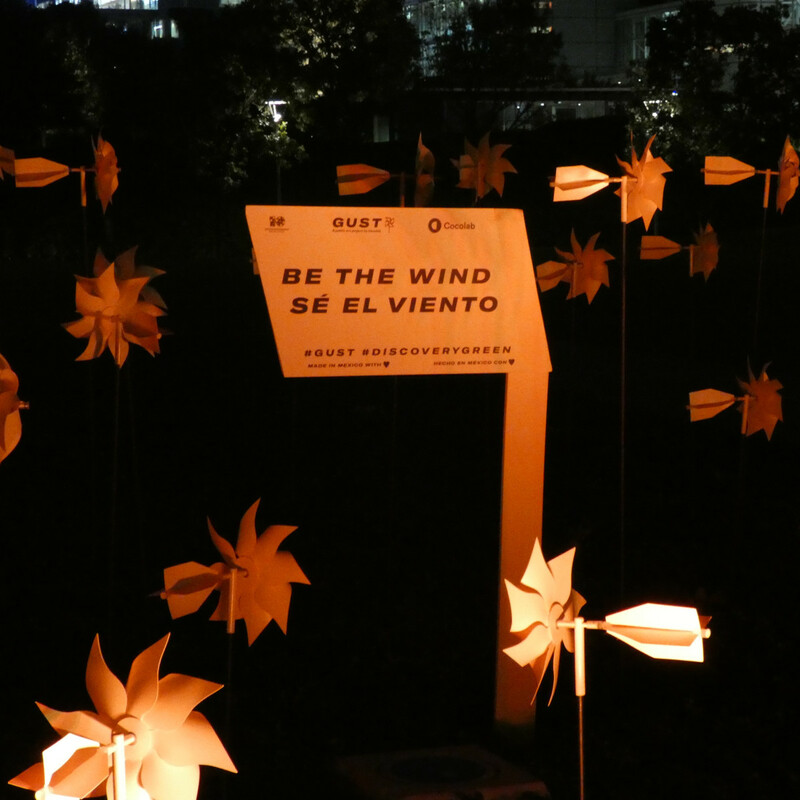 The pinwheel blossoms were handmade in a workshop in Puebla, Mexico, using all renewable resources. The field of colors will likely remind visitors of wandering through flowers, childhood simplicity, and fun. 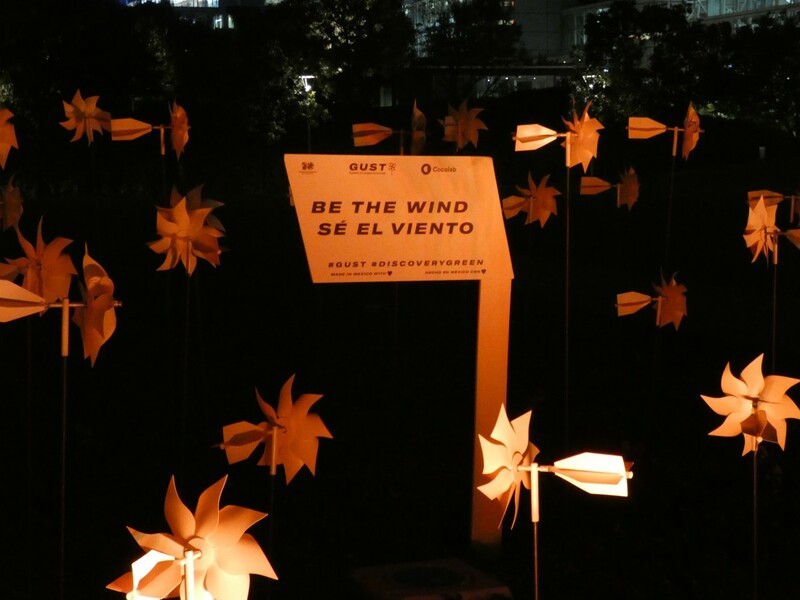 Yet, to truly experience the breadth of the installation, wait for the wind to pick up as the sun goes down. 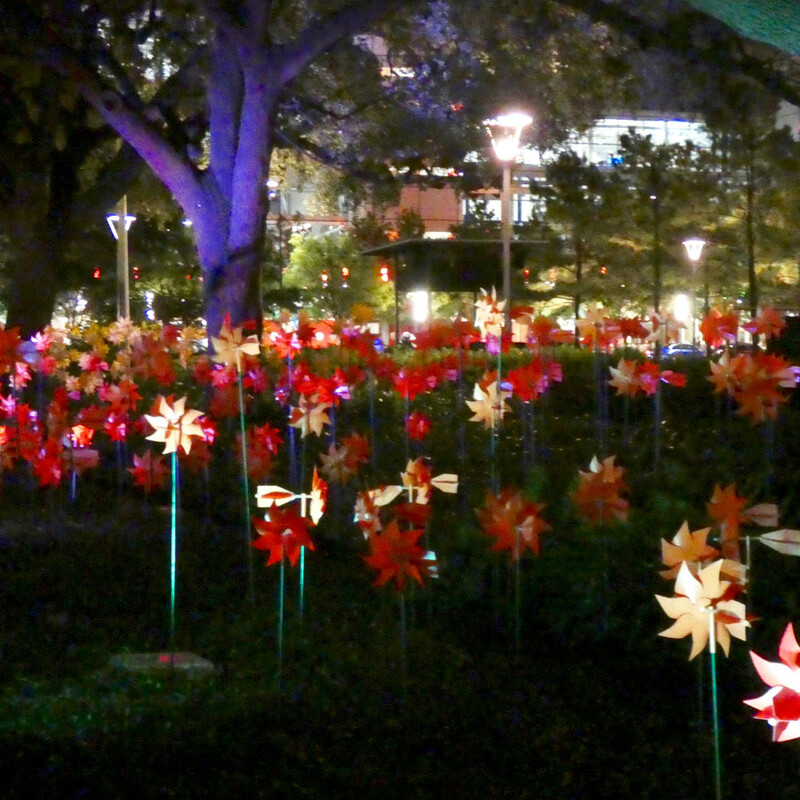 At dusk, another layer of color paints the pinwheels. 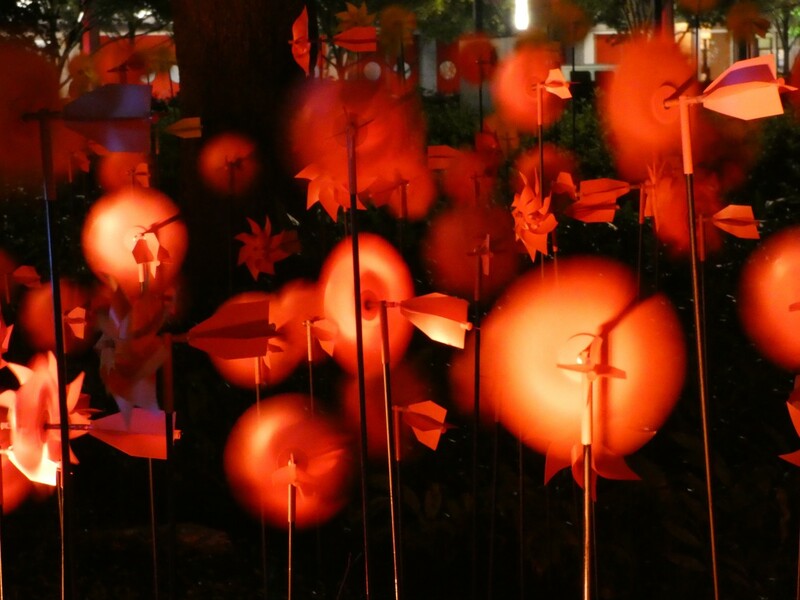 An intricate lighting projection illuminates these spinning flowers in the evening. The multicolored light projects are programmed to change according to the speed and direction of the wind blowing through the park. 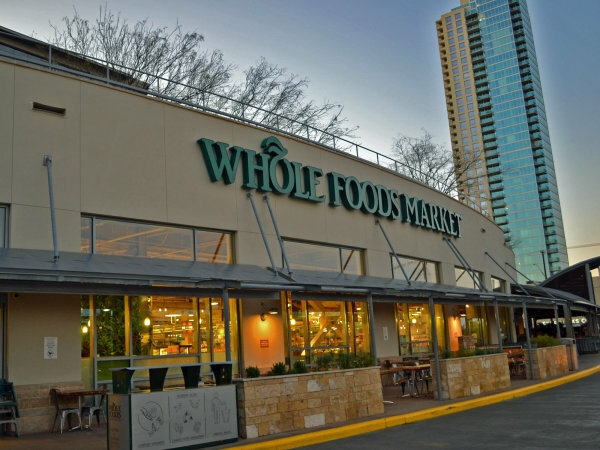 And when the wind quiets, that’s when humans should intervene. 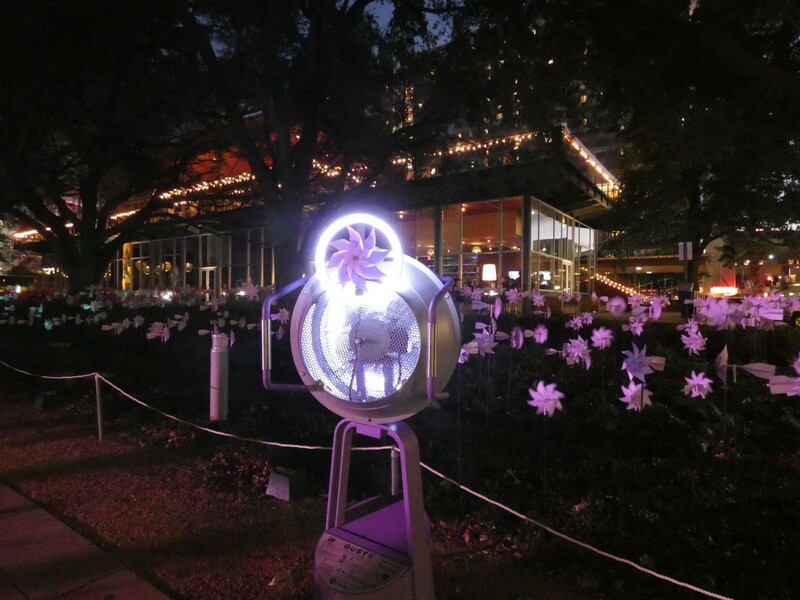 Cocolab built and stationed four wind generators along the promenade for park-goers to interact with the art. 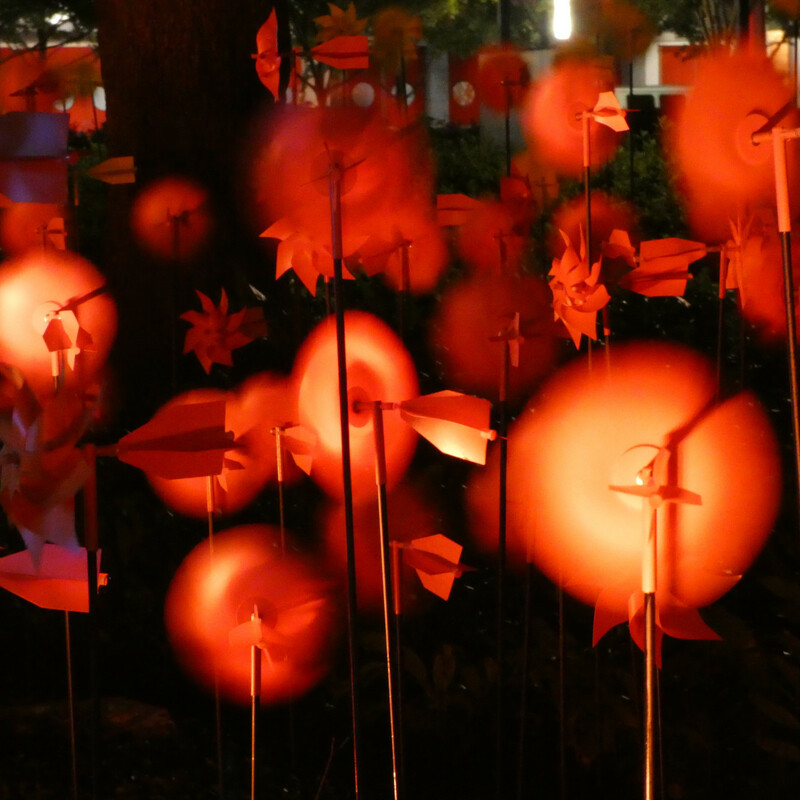 Visitors can blow on the embedded pinwheel to start up the generated wind and set the whole field of flowers spinning. With a little bit of help from these activation stations, GUST shows us how one human’s breath can interact with and influence the world. “GUST: Celebrating a Decade of Discovery” will remain on view until March 20, 2019. 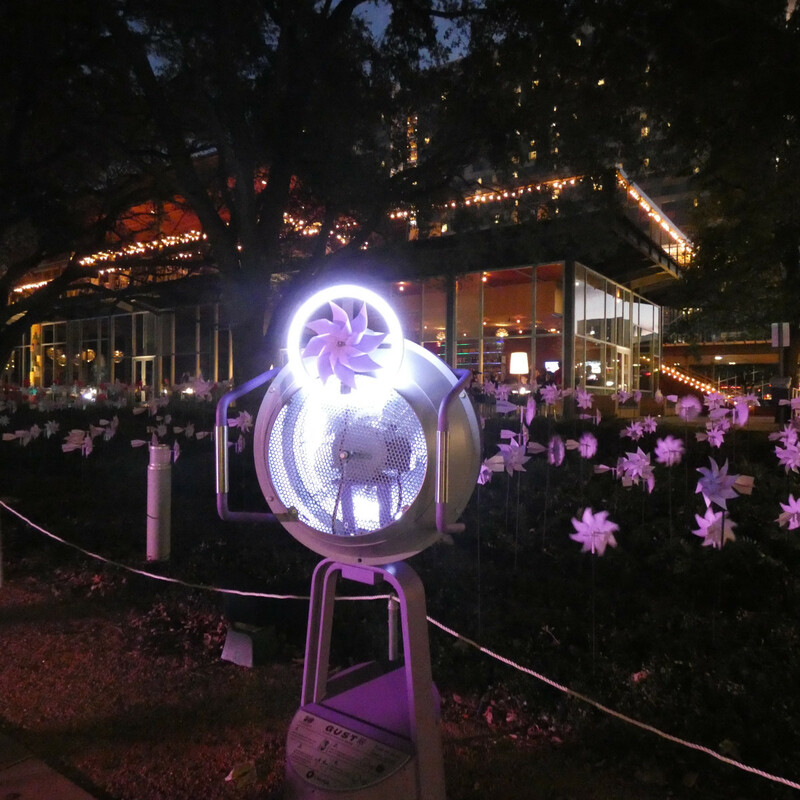 Check the Discovery Green calendar for a full schedule of GUST related activities and programming, including a Houston Grand Opera Chorus holiday sing-along (December 15), a fashion show featuring works by Houston-based artists and designers (January 26), and a series of Wednesday night photo workshops from the Houston Center for Photography.